Most people assume that the biggest estate planning fights involve “Who will own what?” It’s been my experience that, “Who will run what?” is often an even bigger issue. “Who will own what?” is usually a question of perceived fairness. To heirs, “Who will run what?” is a question of respect. As part of a management succession workshop Dallas Mount and I led in Baggs, WY last December, we showed participants how to build a plan for a smooth transition into the future. The plan included effectiveness areas, organization charts, position agreements and career development plans. We assign a target to each effectiveness area. The target for “Cattle Nutrition” might be >90% of cows are in Body Condition Score 5 at calving. 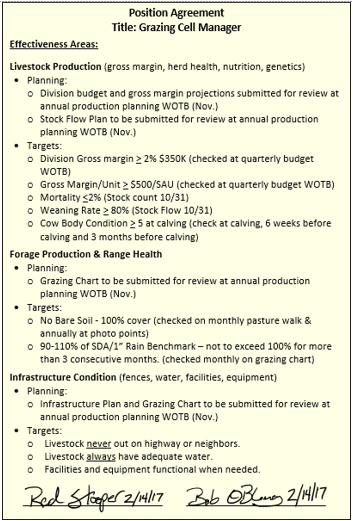 “Cattle Production” might have a gross margin target of $500/SAU. By grouping related effectiveness areas, we form positions. A typical ranch might have positions for livestock production, range health & productivity, livestock marketing, and financial control. One person may hold more than one position. In fact, in a smaller operation one person may be responsible for all of the positions. Position agreements should be drafted for each position in the organization chart. Position agreements list all of the effectiveness areas and targets assigned to a position. All employees, including family employees, should sign the agreement to confirm that they understand and agree to the terms. Once you’ve defined effectiveness areas and created position agreements for each current position in your business it’s time to draft your succession plan. We draft the succession plan by projecting the organization chart into the future. The projected organization chart shows how roles may change in the future. Along with projecting these roles it would be a good idea to establish a training plan to make sure each person has the skill and experience to succeed in their future roles. If you want competent management when you step aside, it is important to find opportunities for the next generation to flex a little managerial muscle. Rather than moving from hired hand to division manager overnight, Junior would be better prepared if they are involved in making important decisions and put in charge of at least one subunit of the business (e.g. the stocker program, developing a cull cow program, managing a particular lease holding) before they take on larger, more complex roles. If this sounds like hard work, that’s because it is! But it is also important work. It is the work that ensures a smooth transition into the next generation. And while it is hard work, once someone knows how to do it, it doesn’t take much time. It takes most people a total of 6-10 mornings to define effectiveness areas, create an organization chart, write position agreements, project the organization chart into the future and build a career development plan. The failure to do this planning is a major reason why less than 1/3 of North American ranches pass on intact to the next generation. 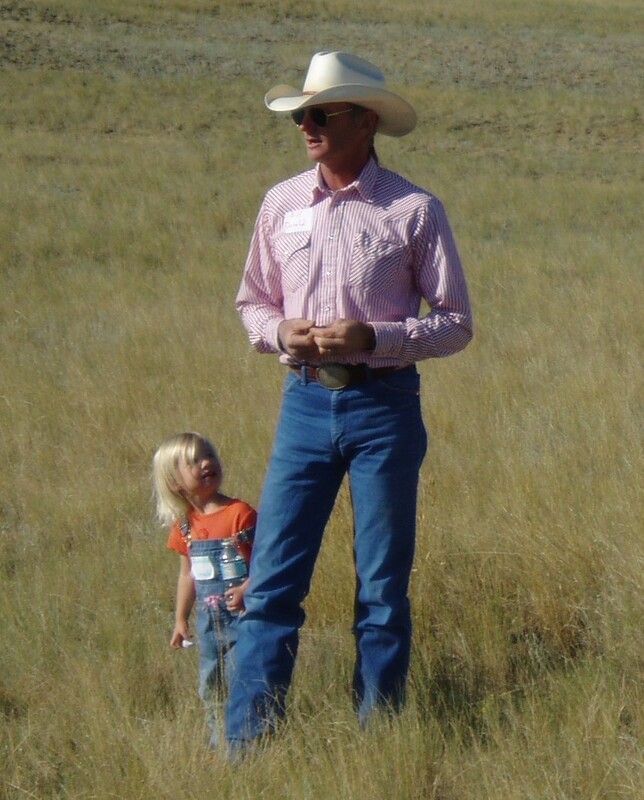 Twenty to forty hours to ensure the success of your ranch for the next 20-40 years sounds like time well spent to me.